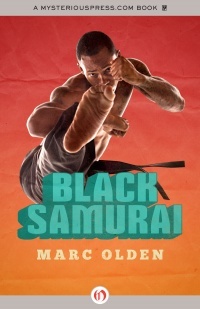 The first in a series of action/adventure novels, Marc Olden’s Black Samurai series has been difficult to find until recently. Individual paperbacks have been known to fetch $80.00 or more on Ebay. Mysterious Press is to be commended for getting this series available to the reading public once again. You can also download them in many electronic formats. I also want to thank Joe at Glorious Trash for alerting me to this book. Marc Olden, who passed away in 2003, was a Black American writer who is little read today. He wrote many mystery novels over his career. Although he started out working as a press agent, Olden soon turned to writing full-time. One of his other big passions was martial arts. Olden obtained advanced degrees in Akaido and Karate. Robert Sand is a Black American soldier stationed in Japan in the early 1966. One night he intervenes when a group of American GI’s try to beat up an elderly Japanese man. But the old Japanese man is Master Konuma who easily dispatches the ruffians. Sand receives a bullet in his stomach from the thugs for trying to help, but Master Konuma is able to get him to a hospital. Through the intervention of the US embassy, Sands is taken on by Master Konuma to train as a traditional Japanese Samurai in a remote village. He spends years training in all kinds of martial arts, constantly meditating on honor and death. Under the old man’s tutelage, Sand becomes a skilled warrior, easily the best student in the compound. But one night the compound is hit by a renegade former soldier named Col. Tolstoy. The entire compound is whiped out to the last man, save Sand, who manages to escape. Master Konuma dies in Sands arms as the buildings burn around him. There’s only one man Sand can go to for help: William Baron Clarke, a former American president. “The Baron” had helped out Sand earlier and is the only man powerful enough to stand in the path of the insane Col. Tolstoy. And Col. Tolstoy has something planned to avenge himself on the country which stripped him of his rank…. “Then he had been a skinny GI, a twenty-two-year-old sergeant in Tokyo on thirty-day leave from Vietnam and awed by the largest city in the world. That night he had stepped from a bar to see four white GIs, mean-drunk and surly, taunting an old Japanese man who tried to step around them. They wouldn’t move, nor would they let the old man pass. One of the more bizarre figures in this novel is “The Baron”. He’s obviously patterned after Lydon Baines Johnson (LBJ), who was president of the USA from Kennedy’s death to 1969. It’s hard to explain to people under 50 how he was a force of nature. LBJ was one tough Texan used to negotiating or browbeating to get what he wanted. As “The Big Man” who finances and supports The Black Samurai, he’s over the top. Col. Tolstoy’s raiders are a cornucopia of all the badass terrorists in the world: a black militant who dares Sand to come after him, an IRA fighter who harbors a grudge against the USA. An Arab. Army deserters. Drug dealers. Add and season! Nor does the action ever let up! The novel is one continuous gun barrage from start to finish. We hardly get much in the way of introspection, just sand and the baron planning their next attack. Plenty of descriptions of karate and other martial arts moves, it’s obvious Olden worked them out in his head before committing to paper. In 1977 it was adapted into a film, staring Jim (“Black Belt Jones”) Kelly. I haven’t seen it, but I’m told Olden wasn’t too pleased with the outcome. 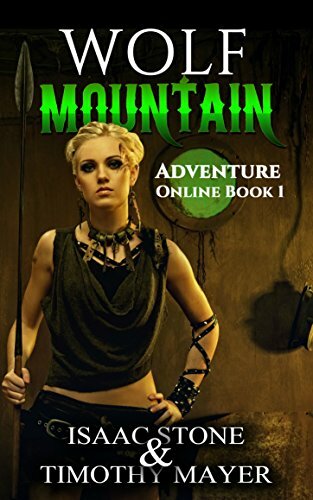 There’s at least 7 more books in this series. I plan to read all of them since Mysterious Press has reissued all. Greetings. Only just discovered your site and it’s great. I’m adding it to my blog roll. Particularly nice post on the Black Samurai books. I’v been scouring the Internet for these but they are very rare and, when they appear, very expensive. Good to hear that Mysterious Press is planning on re-releasing them. Keep up the good work. Glad you like it! I’ll add you to my blog roll. Olden’s book is an acquired taste for sure, but I’m a 70’s kid so I can dig it.